On the 21st May, 1930, at Eastbourne (terminus) Station on the Southern Railway, an accident which occurred at 6.53 pm. The 5.20 p. m. express passenger train, Victoria to Eastbourne, collided with the fixed buffer stops of No. 3 platform road. A total of 58 passengers and 3 Railway personnel suffered from injuries or shock, but neither of the latter had to leave duty. The majority of the injuries were fortunately of a minor nature, only four persons having to be detained in hospital, and the comparatively large number of injured was probably due to the fact that passengers were preparing to alight. As a result of the collision the leading buffer beam and the main frames of the engine were bent ; together with other minor damage. The headstocks of the leading coach mere bent, buffer castings damaged and the body shifted on the underframe, in addition to minor damage to various portions of body and underframe. The underframe of the second coach was buckled at the leading end and very badly buckled at the trailing end, the trailing end compartment being crushed in by the vestibule of the Pullman immediately in rear. The body was driven forward about 25 inches on the underframe and a number of other portions of the body, underframe and bogies were damaged. Pullman No. 30, the third coach, had both headstocks bent and a good deal of minor damage throughout ; both vestibules were damaged but neither of them collapsed or crushed. Pullman car " Sappho ", the fourth coach, together with the sixth and seventh coaches, sustained minor damage in several places, particularly buffer castings. The fifth coach was undamaged. The buffer beam of the stop and the concrete wall supporting it were broken and the concrete shattered. The train consisted of 7 coaches, apart from two for Seaford which had been detached from the rear at Lewes. It was drawn by engine No. E.767 " Sir Valence ", King Arthur Class, type 4-6-0, with 6-wheeled tender, weighing 123 tons in working order. The overall length of the train and engine was 455 feet and the total weight 10 tons.The engine was fitted with the vacuum brake on coupled and tender wheels, the percentage of brake power being 49.9. This class of engine is fitted with a crosshead driven vacuum pump in addition to the Dreadnought pattern ejector; the coaches were fitted with the vacuum brake on all wheels. All coaches were fitted with electric light. Approaching Eastbourne the line is in a direction generally southerly, with right-hand curvature varying between 60 and 22 chains radius, up to a point some 40 yards inside the outer end of the platform, where the line becomes straight for the last 200 yards to the buffer stops. From the driver's position on a King Arthur class engine (left-hand drive) it was found that the buffer stops came into view at a distance of about 210 yards. The gradient approaching is level for 1 ½ miles; the immediate entrance to the station consists of about 650 yards rising at 1 in 521, and thereafter 110 yards to the buffer stops rising at 1 in 267. The train in question has a booked timing of 93 minutes for the 66 miles Victoria to Eastbourne including stops at Lewes and Polegate, and on the day of the accident it ran in accordance with schedule timings except for one minute lost by a service slack at Balham which was regained before Three Bridges. It left Polegate at booked time, 6.46, and the schedule speed thence to Eastbourne is 36 m.p.h., arriving at Eastbourne at 6.53. It is not the fastest timing of the day between Lon d on and Eastbourne and there was no question of running fast to make up time. Approaching Eastbourne, Suckling shut off steam just before reaching the outer distant signal and estimated he was travelling a but 35-40 m.p.h. at this point. He applied the brake as he was approaching the outer home signal, reducing speed to something under 30 m.p.h., and he made a further application between the outer and inner home signals (576 and 343 yards from buffer stops). Both these brake applications produced the normal retardation he intended and he had no suspicion that there was anything wrong with the brake. Before reaching the inner home signal, however, he thought he was pulling up too quickly and therefore as he passed it he replaced the brake handle in the running position. He estimated that he passed the signa1 box at10 to 15 m.p.h. which he considered normal speed a t this point. As he entered the platform he made a further application in order to stop in the usual place, but he stated that the brake did not seem to take effect although he reduced the vacuum by about 8 to 10 inches. As soon as he realised that the train was not pulling up as he intended, he made a full application when the brake did take effect. He still thought he would stop clear of the buffer stops and it was not until he was close to them that he realised he could not stop. He then tried to reverse but it was too late, and the engine struck the buffer stops at a speed of about 4 m.p.h. There is a general consensus of evidence that up to the time the engine passed the end of the platform the speed was normal, and it was only when the engine was more than half way dawn the platform that any of the witnesses thought the speed was higher than normal. Fireman Atkins had shut off the injector, just before entering the platform and applied the hand brake at this point. As far as he could recollect the boiler pressure at this moment was about 160-170 Ibs., the working pressure being 200 lbs. He did not realise that the speed was in, any way abnormal or that they were likely to hit the buffer stops until they were a few yards away. Guard G. E. Garwood tested the brake before leaving Victoria and noted that 21 inches of vacuum was obtained. At Lewes after detaching the two rear coaches for Seaford he tested again with the same result. He had noticed nothing abnormal about the working of the brake or the train on the journey and up till the moment when his van was approaching the signal box, by which time the engine would be about entering the platform. He looked out at this point and thought the driver was going a little fast. He then looked at his vacuum gauge and practically at once saw the vacuum destroyed, evidently by a full application of the brake. He applied his hand brake as hard as he could but did not think that as his van was losing speed as he would have expected with a He did not look at the gauge again before the collision. Driver Suckling, in conversation with an Inspector a few minutes after the accident, said he did not know what had happened. He said that when he was half-way along the platform he thought he could stop anywhere, but as he went on towards the buffer stops he made a full brake application, but it seemed to have no effect. After the accident the brakes were found to be fully applied throughout the train. No sand was used, the rail being dry and m good condition, and there were no signs of any of the wheels having picked up. On the following day, after a preliminary inquiry, driver Suckling was discussing the matter with his fireman when he recollected that during the run down, when approaching Keymer Junction, he, had made what he considered a normal application of the brake, which he estimated at about 8 ins., but found that the train speed did not seem to fall as quickly as he wanted and he had therefore to make a further application, about 15 ins. on the gauge, before the brake took hold properly. He thought no more of this at the time and when entering Lewes he made a normal a plication which he saw by the gauge was 10 ins., with normal and quite satisfactory results. At Polegate also the brake worked normally. He recollected this incident at Keymer Junction subsequently and, when asked, fireman Atkins thought he also recollected it;. It seemed possible- therefore that there might have been some intermittent defect in the operation of the brake. After the accident all brake gear of engine and coaches was thoroughly examined and found to be in satisfactory condition m d working normally, but a small piece of cotton waste was found on the wire cage in the vacuum connecting pipe in rear of the tender, and this suggested the possibility of some cotton waste or cleaning cloth having been drawn into the vacuum pipe system and causing intermittent or partial obstruction. Such cases do occur occasionally, and the wire cage inside the coupling is designed to prevent them. There was also some rather indefinite evidence as to a noise like that caused by the sudden operation of the brake in the guard's van, at the last moment prior to the impact, which indicated the same possibility of temporary obstruction. Tests were made, therefore, on the engine and tender by coupling another engine in rear of the tender and raising the vacuum thereon, afterwards admitting air in front so as to draw an loose obstruction to the coupling pipe, but without result; subsequently the whole of the vacuum piping on the engine, tender, and coaches was dismantled and thoroughly examined, 5 3u t no obstruction could be found. In this connection it should be noted that the seven coaches form a set train which had not been uncoupled since April 16th. At my Inquiry, Mr. E. S. Hunter, a passenger who was travelling in the last but one trailing compartment of the second coach immediately ahead of Pullman No. 30, gave evidence to the effect that at two points on the journey the coach had been rocking and jolting in an altogether abnormal manner, and he suggested that some defect had developed in the bogie which might have affect the operation of the brake. At neither of the two points in which were in the neighbourhood of Three Bridges, and between Haywards Heath, and Lewes, did he consider the speed very high, and he was quite confident that the, speed at other points was much higher but that the abnormal motion was no longer, noticeable. Mr. Hunter stated that he "was a frequent traveller on the line and was well acquainted with the ordinary discomfort of travelling in a coach coupled to Pullman ", but that the motion on this occasion was something quite different and led him to think that the bogie might have broken loose from the underframe. An examination of the bogies, underframe, and vacuum piping and brake gear of the coach revealed no defect, and I am satisfied that this has no bearing on the origin of the accident. I discuss certain other points of Mr. Hunter's evidence below. An exhaustive examination having failed to indicate any defect in, or possible cause of failure of, the brake equipment, the only alternative explanation is faulty handling of the train by the driver. Driver Suckling, after exercising all proper caution in reducing speed when approaching, thought that he might stop too soon and replaced the brake handle in the running position shortly before entering the station. I think it is probable that, the action of the small ejector, supplemented by the crosshead vacuum pump which is fitted to this class of engine, restored the vacuum and released the brakes more rapidly than he realised, with the result that it required a fuller application than he expected to produce immediately the final retardation to a stop. Driver Suckling was well acquainted with the train, the route, and the King Arthur class of engine. He had been working another type of engine on the previous day, fitted with the Westinghouse brake, but he is quite definite that the different class of engine and engine brake equipment had no bearing on the accident and that he would just as soon work with the vacuum as the Westinghouse. I do not see any reason to question his opinion on this point. I conclude therefore that the cause of this accident was an error of judgment on the part of driver Suckling in handling his brake when entering the platform. He is a man of 59 years of age which 43 years' railway service, 29 years as driver. He has a good record. I am informed that he has been working in, and out of congested areas for many years and is considered a very reliable and experienced driver. As regards Mr. Hunter's remarks on the abnormal vibration and jolting of the trailing-end of the second coach in which he was riding, an examination or the bogie and frame of the c w h made it clear that there was no breakage or defect which was likely to cause unusual risk of accident. It is a matter of common knowledge that vibration is most noticeable immediately above a bogie and in this case the stock was old and of a light type of construction, while the speed was high, As it happened, the track had been tested by a Hallade Recorder a few days before with results which were generally very satisfactory, but there is reverse curvature in the neighbourhood of Three Bridges, and I think it is likely that the abnormal motion wag due to periodic vibrations which ha to synchronize in such a manner as to reach an unusually acute peak. The buffering and drawgear in use between the second coach and the Pullman was of standard type, the central coupling equipment at this end of the Pullman not being in use. The collapse of the underframe of the trailing end of the second coach under the blow from the leading Pullman and other coaches in rear is a matter which calls for comment. Fortunately neither of the two underframes rose above the other, but the headstock of the second coach was driven in bodily a distance of about 15 ins., the aide members and diagonals buckling sideways. The construction of the Pullman (dated 1922) was of the heavy type which is characterising of these vehicles, whereas the coach ahead was 25 years old and of a very much lighter type, and it is hardly to be wondered at that the whole violence of the impact was concentrated at this one point with comparatively little elsewhere. In connection with other accident reports in the last few years, attention has been drawn to the desirability of homogeneous strength and design of underframes and of buffering throughout a train and there is no doubt that it would be much to be preferred that vehicles used with Pullmans should be of a heavier type than the one in question; the collision clearly illustrates the effects of the impact given by the Pullman and the rear portion of the train on a very light type of underframe. I have therefore discussed with the Company's Officers the question of the use of old and light stock in conjunction with Pullmans in fast main line trains similar to the one in question. They are fully alive to the desirability of heavier stock, and have given me details as to their policy and construction programme for the last 5 years, showing that during this period very considerable progress has been made in the provision of heavy corridor bogie stock of an up-to-date type for main line services. 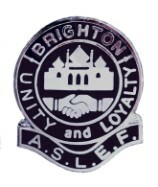 For 1930 the normal programme has been increased by an additional 200 such coaches in connection with the remission of the Railway Passenger duty and the provision of 275 new coaches for the Brighton Electrification now in hand will release a number of modern coaches for use elsewhere. There are at present five services daily to and from Eastbourne on which Pullman cars are run, and of these two are already equipped with corridor stock. The Company expect to be able to provide stock of modern type and heavy construction on the remaining three services within the next six months, and they anticipate that within two years it will be possible to provide new corridor stock on all these services. In all the circumstances, and having regard to the rolling stock situation of the constituent Companies at the time of grouping. I doubt if there is justification for serious criticism in regard to the age and construction of the coaches in use in this case.